*Limited Availability. Please note that viewing is not available in all countries such as Canada, Denmark, Netherlands, Sweden and maybe others (we’re receiving reports from members). In recent weeks, the producers of this show have locked down all full episodes so you can only view them if you login using the television service provider account information. I absolutely LOVE this show, and buy all the episodes. I’m going to do this, no matter what I’m going to do this!! Black water, grey water, composting toilets? What the heck are these and what happens to waste that gets flushed in a toilet in a tiny house? Heating and cooling? Isn’t it cold in a tiny house? Is it possible to use radiant floor heating in a tiny house? How do you decide what goes where when designing the inside? Good trailer vs bad… How do I tell the difference? How wide can a tiny house be on it’s trailer, and how tall maximums? Lot of info on the internet but not finding enough correct answers! HELP!!!! I wish u would do a tiny house in Puerto Rico in the mountains. I have a location on top of a mountain. I like some of the ideas behind “Tiny House” living, but not it’s overall premise. I tend to agree about “not wasting any space”, or “you don’t have to live in a mansion to be comfortable”, or “just get the basics and not be ruled with the desire to buy unessential things”, all fine ideas in of themselves, but, living in a very small and cramped space is ridiculous. If someone farts, seriously, not joking here, if someone breaks wind, it will stink up that small space. If you and your wife have a tiff, you can’t really retire to your own areas to cool off. And some of the “compromises” in living in a tiny house are unreasonable and impractical. Sometimes dangerous, even. Like in the first episode, they had a couple with a young daughter live in a cramped space…so, the kid gets a small cubicle as a “room” and a small “loft” where her play area is located, which she has to climb a ladder to enter….uhhhh, she’s only 3 years old, and you expect her to climb a ladder? And about her cubicle of a room, that small kid will grow up one day….what then? Build another tiny house? 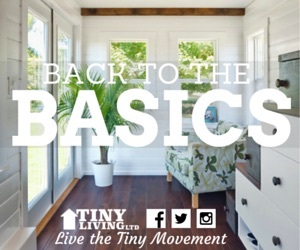 The main idea behind this “tiny house movement” is in order to save money….but the ironic thing here is, you have to pay more money to have custom built cabinets and furniture that will fit inside your tiny house, instead of just buying ready to use, cheaper, mass produced furniture that fits inside a regular sized home. So, what you save in house construction, may be used up in furnishing your tiny house….meanwhile, you won’t have the option to buy new stuff simply because you don’t have the space for them. Remember, if you buy a regular sized home, you do not have to fill it with stuff right off the bat. If you can’t afford that huge sofa now, or that king size bed, etc, you don’t have to buy them all at once. Over time, you can slowly make that regular size house your own, by carefully picking up furniture and appliances here and there. But if you go for a tiny house, you won’t even have the option to get comfortable furniture simply because you won’t have space for them. What about resale value? One of the basic things to consider in buying a home is, will you have a good chance to sell it off in the future (for any reason, really, either for investment purposes, or if you want to upgrade your space, etc.). If you go for a tiny house, when you want to sell it, your options may be limited, since there are only a few people who are willing to live in a small, cramped space…meanwhile, a regular sized house in a good location can be quite profitable. I know this because when I tried to put my first house on the market ten years after it was built, I got offers for over 3x its original cost…and that’s from people who are in it to renovate and re-selling it later on…so, I could get more if I were willing to wait for better offers (for the record, I decided not to sell). Will the value of a tiny house appreciate in time? I doubt it. What about safety and security? One of the basic reason people live inside a house is in order to protect them from the elements….a tiny house will offer little protection if there is…. (just a for instance)…. a huge storm. If there is a hurricane, you may end up not in Kansas anymore inside a cramped dwelling. Again, some of the ideas behind the tiny house movement, like “don’t waste space”, or “multi-purpose furniture” (a sofa bed, for example), and “just focus on the basics”….are all fine concepts…which can also be applied in a regular sized home, not just in a freakishly small home. The key idea here is “moderation”. You don’t have to buy a huge mansion and go broke in debt from maintaining a large house. But, at the other side of the spectrum, you also do not have to sacrifice comfort, security nor the option to expand later on by going for a tiny house. Just get a regular sized home and slowly fill it up with your own personal touches over time. Good observations. Thanks for the post/comment! Sorry for the delay in getting this approved. I am a 70 year old woman. My dear husband and I live in what could be called a tiny house–a beautiful Tiffin motor home. Apparently, you have never had the opportunity to experience the tiny house lifestyle. THINGS are not that important to us. We prefer the freedom. Freedom from: mowing a lawn, shoveling snow, from paying property taxes, from stuff that has to be purchased just to fill up empty space and freedom from being shackled to one location for the rest of our lives. As for resale–we have never worried about resale value when purchasing an item. I buy something because I like it and think I will enjoy it for along time. I have never purchased something just because someone else might want it after I have used it up and worn it out. A 4000 square foot house does not make me happy–all it does is exhaust me. We are much happier with “less” and dealing with sewage is just a part of life. thank you. i am a 67 year old widow and live in a 13′ x 48′ mobile home. i moved into my new home in june of 16. it looks like a small house. i had been down sizing stuff and furniture size for the last year. i am happy, enjoy being home more and have used many of the ideas from zack and john on tiny house nation. You really don’t want to succeed do you? If I can’t watch your show without a cable connection then I don’t need to be on your show with my 400 sq house project I am getting ready to start in Jan.
Hi Jay, The Small House Society isn’t the producer of the show, we were just promoting it and hoping it might succeed. There were some viewing issues, as you’ve identified. Fortunately there are other resources out there. Sorry you’re unable to view the show. I am interested in a 500 sq foot house. I don’t know where to even begin. Could you tell me the approximate cost for a home that is green but has a modern style along with high technology. There two teenagers as well. I would need plenty of storage. I would like to build this for my sister and she is also on disability with several health issues. I don’t know if there are any types of special loans or grants to help build a home like this. She is also in s very abusive situation that she is thinking of going underground. Can you please call me and advice what I would need to do and see if we could make this work. My sister said she would love to have one of your special creations of being part of the tiny home nation. That way we can be in contact and answer some of your questions. Hi, I think what your doing is really cool and very creative. some day i plan to live in a tiny house. No idea how yet. Or live in a van like a hobo. Yeah only problem would be if someone stole my van than I’m homeless. I like how for such a small space everything is well placed and has a use. So good luck! Thanks for writing. 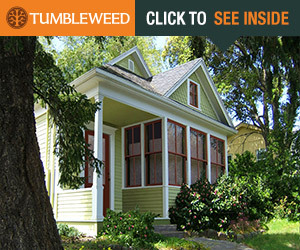 Unfortunately, the people who produce the Tiny House Nation don’t keep up with this web page. It’s just an article we wrote about the show. To contact the producers, you’ll need to go to their website. Dani, Thanks for writing. Unfortunately, the people who produce the Tiny House Nation don’t keep up with this web page. It’s just an article we wrote about the show. To contact the producers, you’ll need to go to their website. I love the idea of tiny homes. Are there neighborhoods in Atlanta, Ga? 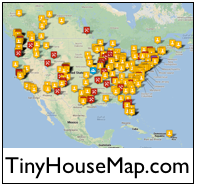 Unfortunately, the people who produce the Tiny House Nation don’t keep up with this web page. It’s just an article we wrote about the show. To contact the producers, you’ll need to go to their website. Is there a way to get a great 2.6 acre wooded property promoted to anyone looking to move to the south central PA region and set up a tiny house? This post doesn’t get monitored by anyone so you may want to post this to our Facebook page. I enjoy the show, but if I want to travel why not buy a travel trailer or a motorhome? I myself have looked at manufactured tiny homes and they are very comfortable with all the comforts of a big home, just in a smaller package. I just got done pricing a 660 sq. ft. 2 bedroom and this is moved on my lot and everything hooked up including the central heating and air for $57,000. Why would I go smaller and even pay more and have less space when they are already built? Even if they want smaller they make them smaller and cheaper and they look and feel like any regular home to me. I think some people just like fads. Thanks for posting Keith. The show producers don’t check our site for comments, so you may want to write them directly. Depending on the materials you use, a smaller home can cost less per square foot than a traditional home, but they can also cost a lot more. The cost is dependent upon time to create a custom design, labor to build a small dense living space, and the cost of materials used. The tiny houses are great, but started decades ago. In the 1960s my dad’s best friend bought a 300 acre parcel in upstate New York. At the far end of the clearing with an old farmhouse was a decades old tiny house: about the size of a small trailer home, it was a prefab wooden house originally bought from Sears Robuck! I imagine from around 1930. I’m new to watching, and am enjoying it! But…I’m disabled. Walk with a cane. Can BARELY manage a few steps up into a tiny house. Certainly could not get into or out of a loft space…or up from a mattress on the floor. Any idea on building one that is ADA compliant? Accessible tiny homes have been built to meet the occupant’s needs. They can be completely customized. I love this show. My husband and I live in a 5th wheel RV, approx 350 sq. Ft. We love it, for $13,000, we are clearing our debt and have all we need, plus some things we could really do without but don’t want to. Our dogs love being closer than ever to us. Hi Connie, Thanks for writing a comment. I’m not sure if the show producers check out our website. We just posted information about the show and had been helping to promote it. Regarding the seemingly high cost of some tiny houses… part of that is because they are mostly built as individually unique homes. So, the efficiency of mass production isn’t there. Also, the materials used to build tiny homes can be expensive if they are high grade commercial or residential materials. The advantage of a custom built tiny house is that it might be sturdier than an RV, and may come with insulation and other durability considerations that make it more suitable for year-round living. That said, I suppose that RVs are much high quality now. I am interested in plans or directions for some of the designs Zack uses to maximize space. Thanks. Hi Leslie, Zack doesn’t check this page on our site. You may want to try another way of reaching him or the show’s producers. Thanks! I like the show and the idea of living small but I am frustrated by the fact that there is seldom a closet in any of the tiny homes. There are cubbies and shelves and in-ceiling storage but no closets…WTH? Are you just supposed to take you hanging clothes and stuff them under the bed? Another thing that bugs me is that many of the lofts do not have safety rails – I can picture someone staggering out of bed, missing a step and falling to the floor below breaking lots of bones. What is so difficult about adding a rail – these folks can create a table that converts to 20 different things but can’t design a rail? Great observations! Thanks for posting. The producers of the show aren’t likely to see your comments since they don’t visit this page, but your points are well taken. Please continue to offer these insights to those involved in tiny house living. It helps the movement grow.